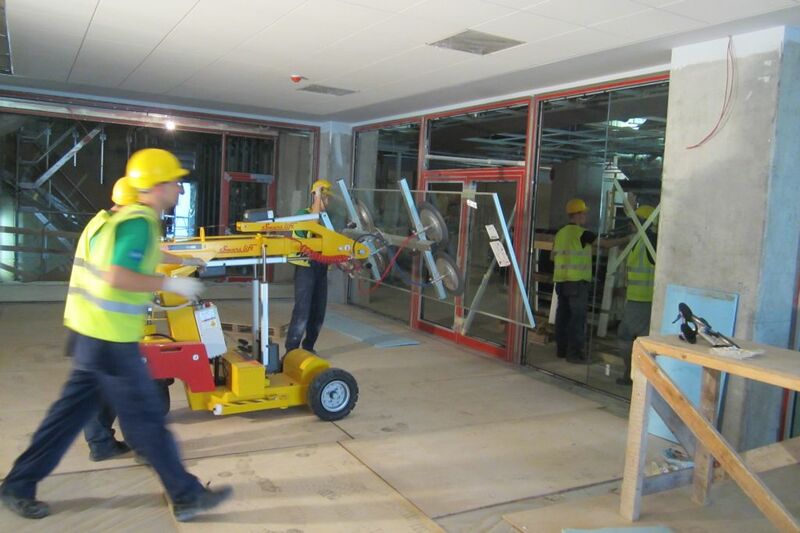 - Multipurpose device for glass, door, plywood sheet and other flat surface installation. 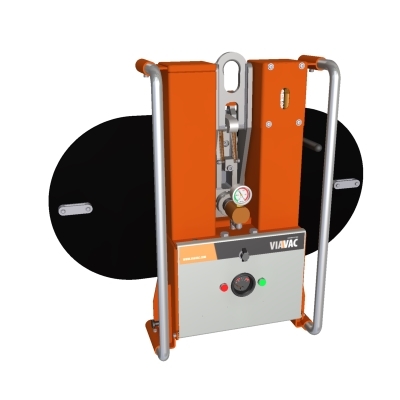 - One person can install heavy elements. 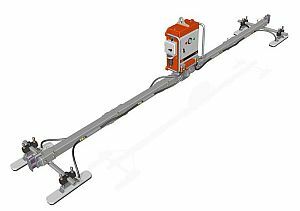 - Easy and fast transportation of heavy elements and not damaging them. 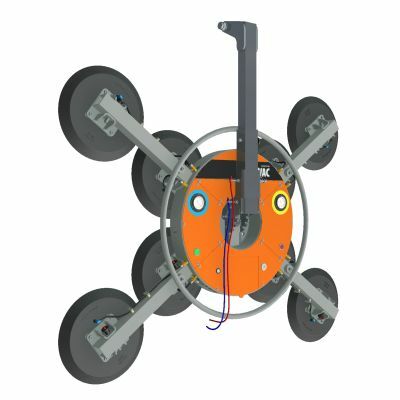 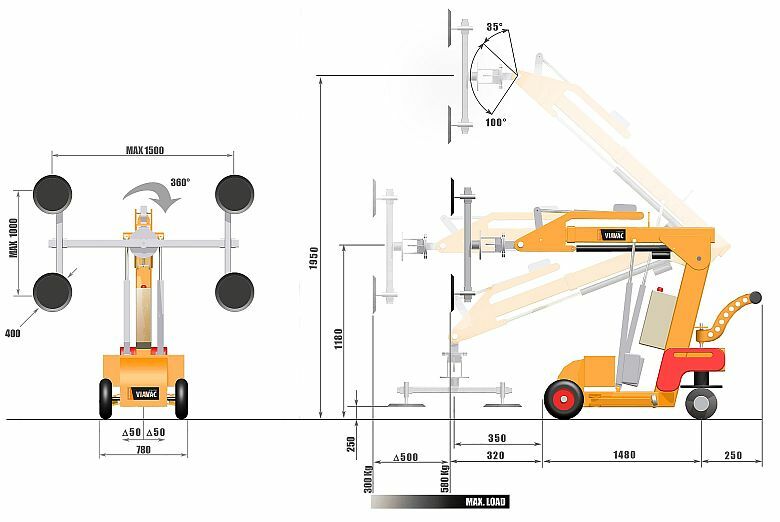 - Equipment available with 280, 380 and 580kg lifting capacity. 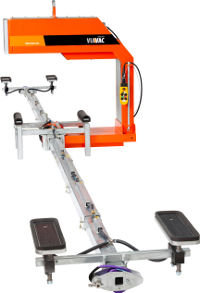 - Electrically oporated motions provide fine insertion. 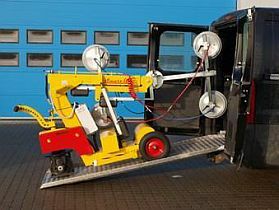 - A compact device which can be transported by minibus or small truck. 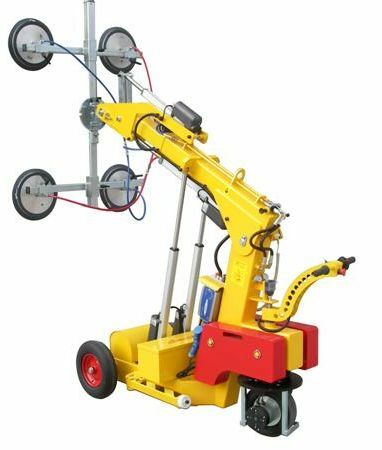 Suitable to assemble, transport, lift and flip air-tight flat surfaces. 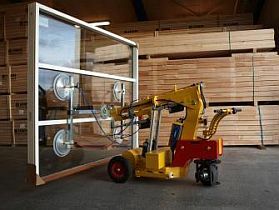 The device is suitable to work with glass packets, windows, stone, plywood and sandwich panels. 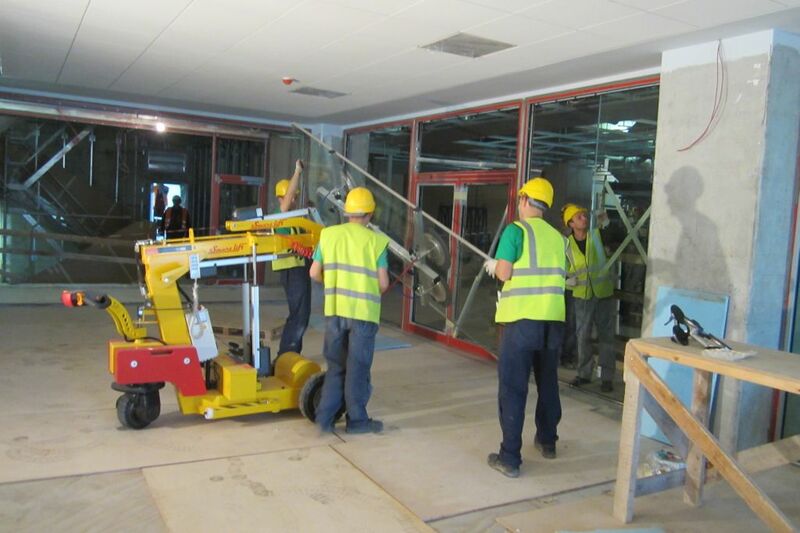 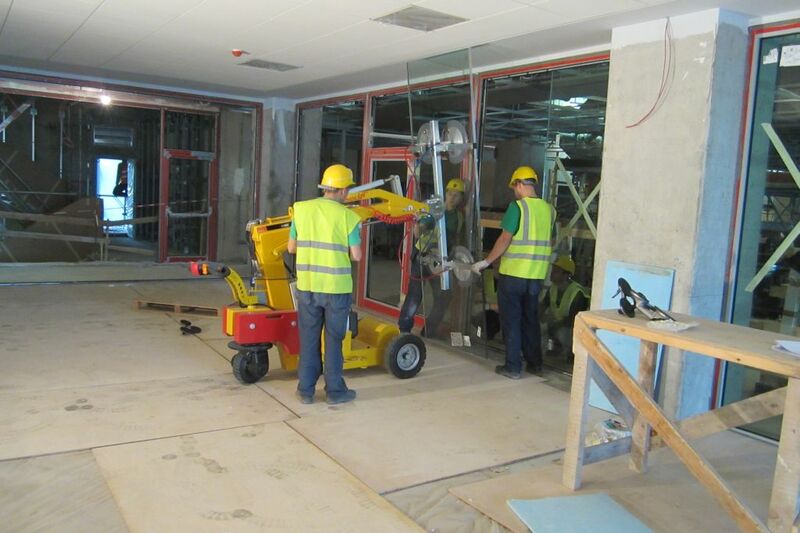 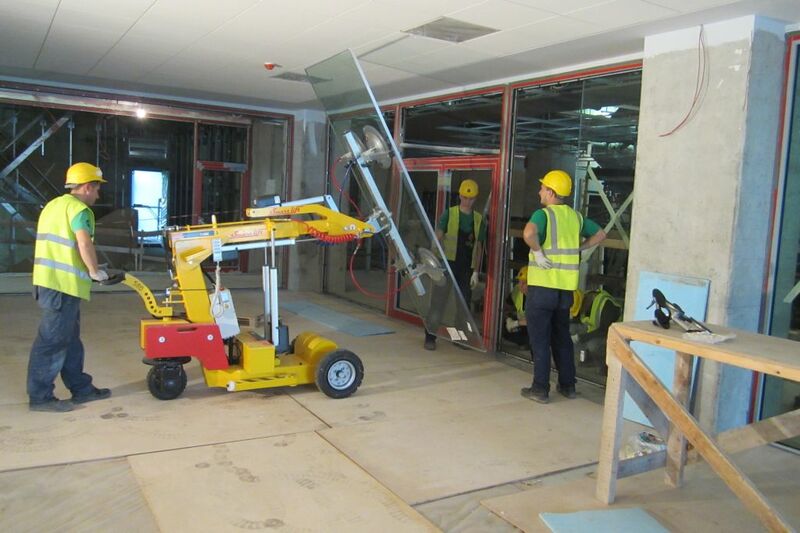 180 degrees pivotable gripper, which is located on a telescopical arm and gives the chance to transport even large glass elements through narrow passages. 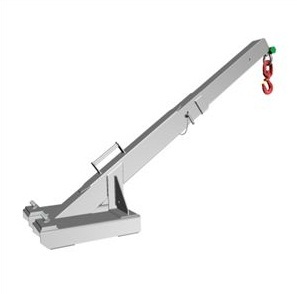 This device has very good abilities to manuever, which allows to turn in limited space.